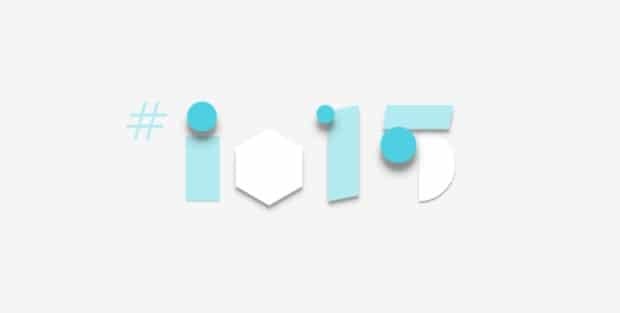 Google officially announced the schedule for Google I/O 2015, so we managed to get a peek at it and compiled a list of possible stuffs we can see during the event. We all know about Google’s next Android version which is so far called as “Android M“, but there are some other interesting stuffs which might amuse you. Here is our Google I/O 2015 predictions. Android for Work will make your smartphone or your tablet a perfect hub for both personal use and business use. You can easily set up different profiles targeting at your personal life and your business life, you can make sure they don’t collide each other. We are expecting an update from Google regarding “Android For Work” this year. Google wants Android to be useful for business people, apart from people using it for normal purposes. Google acquired Skybox, a satellite imaging company, last year for around $500 million. They provide commercial high-resolution satellite imagery, high-definition video and analytics services. So this year’s Google I/O might have some discussions about real-time satellite imaging. It is also believed that Google might announce Cloud Messaging 3.0. It is a new version of Google’s push messaging platform. Well, I’m sure whether this is likely or unlikely, but we believe Google Glass is not dead, not yet. Google killed the Google Glass Explorer program in January, but they didn’t announce they stopped it overall. So we might expect some news about Google Glass 2.0 which could come with an Intel chip. This is my favorite part! Hope you have watched “Avengers 2” where Iron Man gets a new arm while fighting with Hulk. I always wished our day-to-day could have individual modules we can use and replace. Now Project Ara could help us with that. Project Ara is Google’s modular device project and we might hear some official news or updates in this event. Since Apple TV is making some news these days I believe we might hear some about Android TV as well from this event. Android TV is Google’s entry to control your home space. A TV can connect a family, then think what a smart TV can do? Lets find out whether this I/O has some news regarding this. I can bet Android Auto could turn out very successful considering the popularity Google Maps has. This year’s I/O might not announce any special software updates or technological improvements, but Google might have partnered with some popular car brands exclusively for Android Auto, just like they did for Android Wear. We might hear some updates regarding this. I think I shouldn’t be over-excited for this! I always wondered when Google will launch their own smart watch (I mean their own hardware material). Android Wear is very popular but still people are getting used to it. So we can hear some updates regarding this, maybe the future of wearable technology. Project Tango’s is to give mobile devices a human-scale understanding of space and motion. They combine 3D motion tracking with depth sensing to give your mobile device the ability to know where it is and how it moves through space. This year’s Google I/O might announce some interesting app related stuffs for the developers. Last but not least, the next version of Google Android. As far as we know, it is still “Android M”, so the “M” might stand for any crazy edible food name. It is coming by alphabetical order, earlier it was “Android Lollipop” and now it is “Android M”. We think “M” might stand for “Muffin” or “Marshmallow”. We have no idea when Android M will roll out, but some of the good Android smartphone (or tablet) holders are still waiting for Android Lollipop, so Google, kindly take a note of it please. UPDATE: Google Android M Codenamed As Macadamia Nut Cookie? These are some of our interesting predictions (of course easy predictions) for this year’s Google I/O. If you are like us, then you are also so curious about what “M” stands for in “Android M”. Do let us know your ideas in the comments below.